Last week, I avoided the Black Friday sales and all of the commercialism that goes with it. I really wanted to just focus on family and actually be grateful on Thanksgiving. But I do realize that the holidays are quickly approaching, and I would be remiss if I didn't share some of the great, educational products that are now available for children. You may have already purchased gifts, or you may still be looking for ideas of things to help boost your child's vocabulary and basic skills. So here are a few of my favorites this year. Today's theme is "Bilingual Tots!" 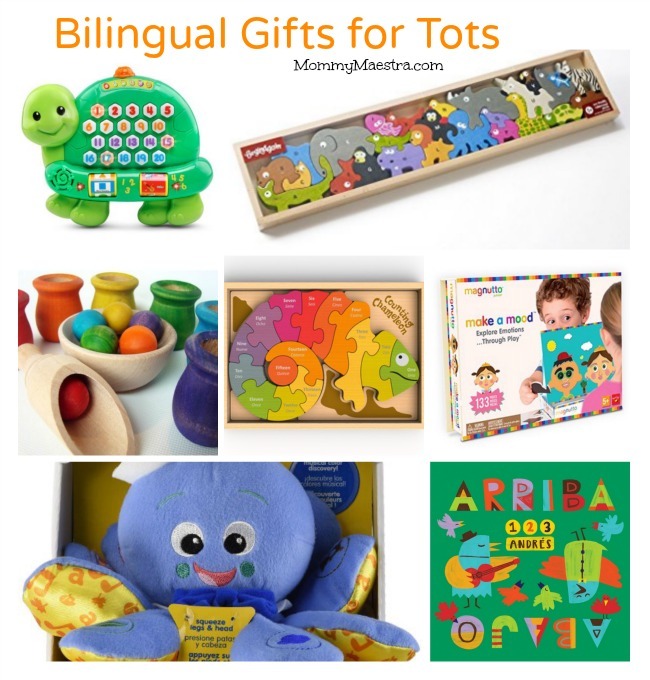 I know many of you who follow MommyMaestra are working hard to raise bilingual children. 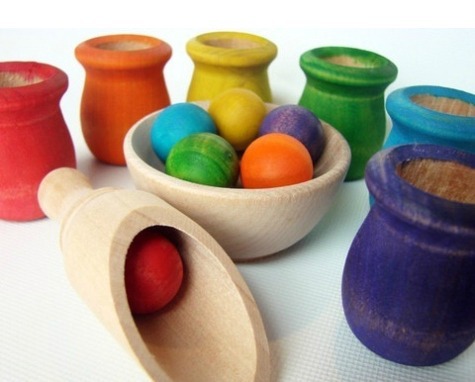 So I want to be sure and share these excellent toys that promote multilingualism. Most have English and Spanish options, one also includes French, and a couple don't have any language associated with them so you can use whichever language you prefer. Either way, I hope you enjoy this collection of educational gifts that help develop important skills in a fun way. This post contains affiliate links. Please see my disclosure in the sidebar. This puzzle teaches numbers 1 to 15 on one side and spells out the number names in both English and Spanish on the reverse. Made from sustainably harvested rubber wood with non-toxic, child safe stains, the puzzle includes a 7"x10" wood tray for storage and display. Available in English & Spanish. Children learn to understand, express, identify, and appropriately respond to emotions and to feelings as they create facial expressions. 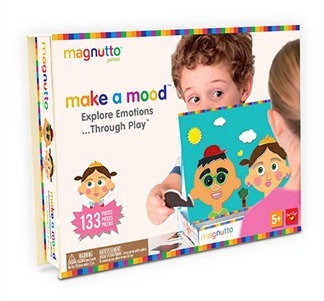 This set includes a list of emotions, examples of facial expressions, and sample role-play questions contained on tri-lingual (English, Spanish, French) activity cards. 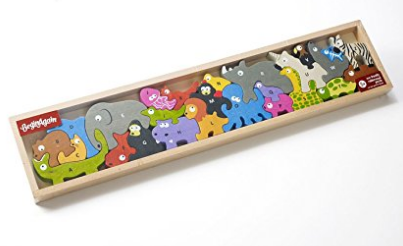 Made from eco-friendly rubber wood with non-toxic, child safe stains, this 26-piece puzzle features one animal for every letter. Uppercase on one side and lowercase on the other teaches alphabet letters while developing fine motor and problem- solving skills. The Baby Einstein Octoplush is a soft, multi textured, developmental plush toy. 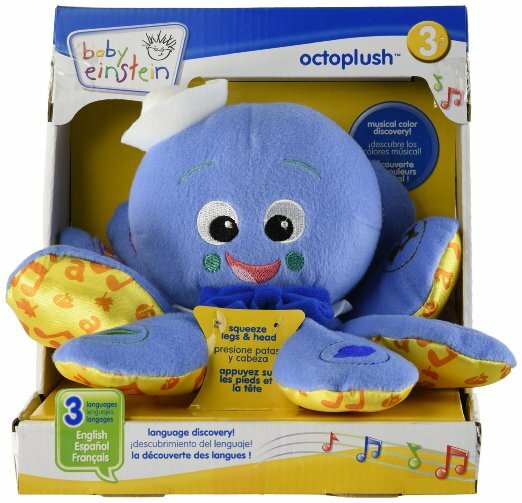 Young babies can hug Octoplush to hear a Baby Einstein melody and explore the textures for tactile development. As baby grows, colorful stitched satin patches on velour legs invite baby to learn color names through repetition. Squeeze each leg to hear color names in English, Spanish and French. Patterns of the color names are also printed on the underside of each leg in multiple languages. 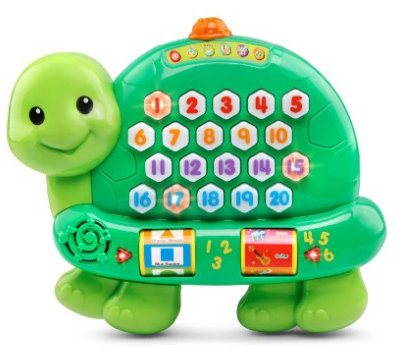 Encourage early math skills with the Count and Learn Turtle by VTech. Press the light-up number buttons to hear the friendly turtle count and say each number. 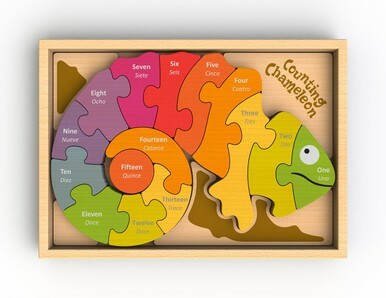 Choose the addition activity, and the turtle will help your child add two numbers and light up the correct number of buttons. The turtle also features two rollers that introduce shapes, colors and instruments and will add fun sounds into the melodies and sing-along songs in the music activity. For even more learning fun, switch to Spanish mode and the turtle will teach numbers, counting, colors, shapes and instruments in Spanish. 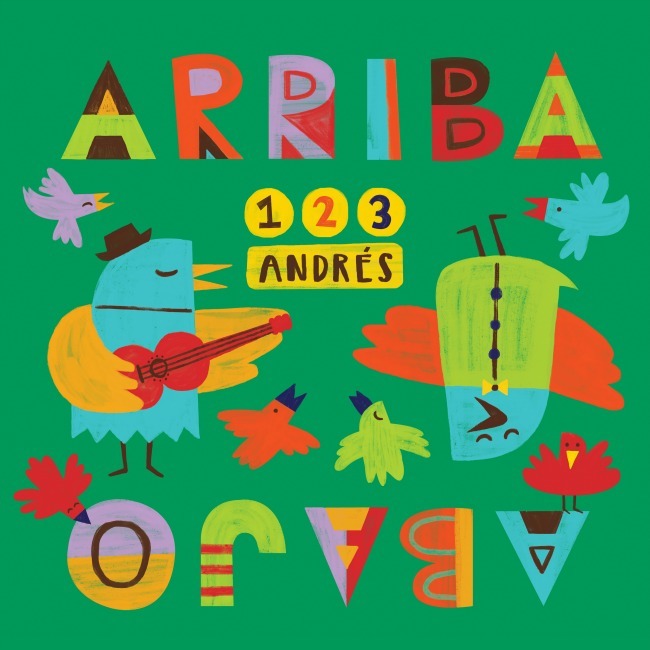 ARRIBA ABAJO is a fantastic compilation of songs in Spanish and English that teach children basic concepts such as syllables, vowels, and more. It is an explosion of creativity, rhythm, and learning. This CD has 20 songs; 10 in Spanish and 10 in English. What absolutely amazes me is how Andrés is able to create these songs in both English and Spanish and stay true to the lyrics.